NICHOLAS MARTIN Internationally renowned, Nicholas started his musical career like most by studying the piano from an early age. He fell in love with the Theatre Organ at the age of eleven and during his busy career has held prestigious residencies at Blackpool Tower, Turner’s Musical Merry-go-round and Wickstead Park. Guaranteed to coax the best from any instrument with his stunning musicality, unique presentation and brilliant technical ability. Great to have him back!! 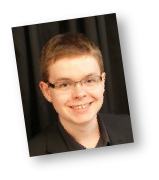 CHRIS STANBURY As well as giving concerts, Chris is a Bachelor of Music with Honours. From an early age Chris wanted to be a performer and was inspired by many of the great players on the circuit in the past. With a vast repertoire we are guaranteed an afternoon of fabulous music with something for all tastes. Chris’s Yamaha Stagea is one of just a handful in the UK and from it he produces a host of wonderful sounds and styles. 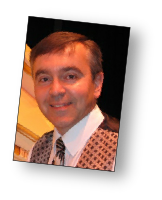 DAVID INGLEY David has been a full-time professional musician since 1986 and apart from his concerts he specializes in playing for Ballroom, Latin American, Sequence and traditional Old Time dancing for which he is in demand all over the UK. 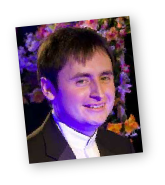 A traditional player, this is David’s second visit to Emneth and we’re sure you’ll enjoy his show and mix of music performed on organ and keyboard. 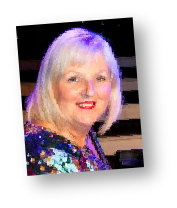 JEAN MARTIN Jean has been playing professionally for over 30 years having started on the family piano from the age of 3 as she was born into a musical family. She studied music and obtained her piano grades through Trinity College of Music London and later obtained the prestigious Licentiate of Music degree from the Guildhall School of Music. Jean studied jazz with the late and great Johnny Dankworth. Back in 2011 she was seen by millions as a Finalist in ITV’s Britain’s Got Talent. We are delighted that she has agreed to come and perform for us at KeyNote! JOHN ROMERO John has been a professional entertainer for over thirty years. He spent the early years of his life based in Watford and it was here he learnt his trade as an entertainer around the London Clubs. 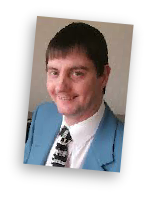 In 1980 John moved to Clacton on Sea and in 1999 he moved to Eastbourne. 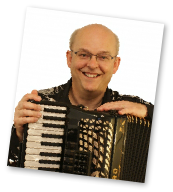 He is classically trained and is a prior winner of the British Accordion Championships. During his career he has appeared three times on national UK television (his latest appearance was in 2006). John brings something different to the KeyNote Stage in both Concert and Entertainment modes for our “Summer Special” with buffet. IAN HOUSE At the age of 24, Ian House is a popular concert musician who performs extensively throughout Europe. 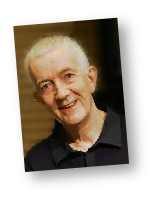 Over the last few years he has built a strong reputation for his musical creativity and technological knowledge and works closely with Yamaha Music as a consultant and national piano and keyboard specialist. Its’s good to be able to welcome him to the KeyNote stage and we are sure to have another wonderful musical afternoon. 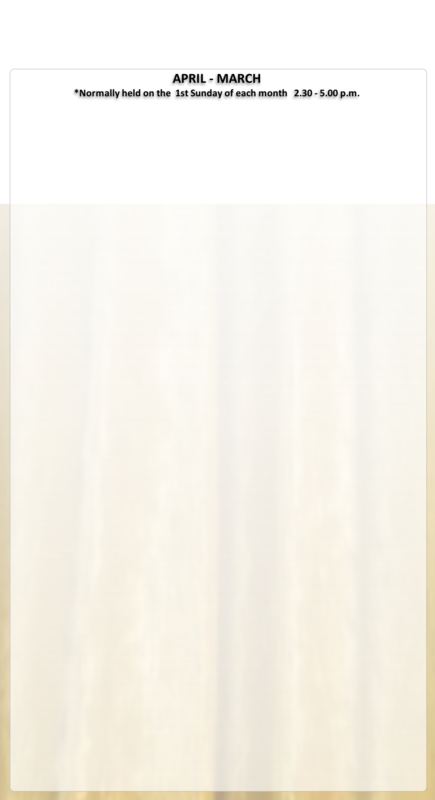 HOWARD BEAUMONT Howard Beaumont, international recording and concert organist, was born in Halifax, Yorkshire. At the age of seven he commenced with piano tuition, later graduating to the organ. Howard learnt the art of demonstrating organs during the 60's from the late Jerry Allen, Bill Skidmore and Harold Smart. Since 1989 Howard has been resident organist at the Scarborough Spa Park complex where, each summer season, he entertains countless holiday makers in the Sun court. JON SMITH Jon has been a professional musician for over 25 years and giving public performances since he was 11 years old. 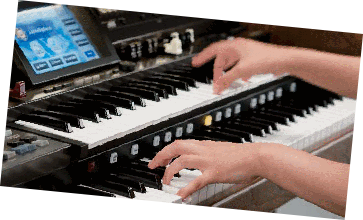 He was involved with the development of the first Digital Organ in Germany with HOHNER. Jon is truly an INTERNATIONAL performer, having entertained thousands of people all over the world, from Shanklin to Toronto, Scarborough to Barbados, U.S.A., Canada, Europe, aboard cruise ships in the Caribbean. He has also worked with international stars in top cabaret venues and played extensively in the U.K. delighting audiences in Summer Shows on the East Coast and the Isle of Wight. 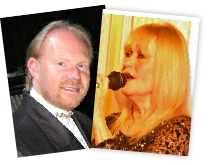 One of the most versatile player/performers around, at home on stage as a soloist or with Saremma an award winning Duo. Back in 2004/5 he was asked be Musical Director/Studio Producer of an all new theatre road show version of ITV’s ’Stars In Their Eyes. Pete is equally at home on a traditional organ or behind a multi keyboard set up. 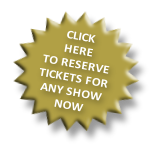 Prepare to be entertained by a musician’s musician. EDDIE RUHIER Eddie was born in Horncastle, Lincolnshire the son of a Swiss Chemist. He started to play at the age of 5 and began to experiment with his parent’s piano. Lessons and exams followed but he eventually abandoned formal training as he developed his skill for playing by memory. Later, after some time gigging with mates on Piano he tackled the Organ and through a friend was eventually introduced to the Hammond. Eddie was to become the resident organist on Hammond at the Streatham Ice Rink until 1988. Now renowned for his own style and sound we are proud to have him come to KeyNote for his first visit. DIRKJAN RANZIJN Dutch organist and entertainer DirkJan Ranzijn has become very popular in the UK over the passed few years. Known for his own unique presentation and sound he makes several visits to our shores each year. His infectious enthusiasm and continental approach brings a breath of fresh air to his shows and performances. A new face to Emneth and a new instrument in the form of his German built Bohm organ. We look forward to having him at KeyNote for the first visit.